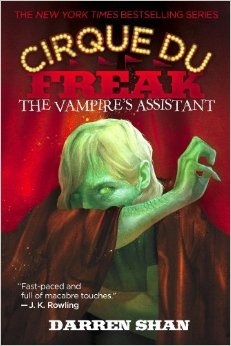 Cirque Du Freak the Vampires Assistant is the sequel to the spine chilling book Cirque Du Freak a Living Nightmare. The Vampire's Assistant is about a boy named Darren Shan. He was an ordinary boy until he visited a mysterious freak show that led him into the world of vampires. (If you want to find out how he turns into a vampire, read book the first book). He encounters new friends as he joins the freak show. Some good, some bad. He also learns some valuable lessons that might save his life, and his friends. So read the second book of the Cirque Du Freak series and go on an adventure into the world of Darren Shan.